VisionCarma is a comprehensive web-based workforce/vendor management system for managing operations of your internal or support team from a single platform. This centralized system powered by tools like, CakePHP, JQuery, CSS, Html, OFC Chart gives you a holistic and streamlined view with transparent live support information. VisionCarma helps you plan, forecast, schedule, and track workers for better alignment and productivity. This cloud-based infrastructure includes unique features like billing information, past and current invoices, payment status, etc. and help you achieve greater efficiency affecting costs, workforce and extended workforce. This excellent cloud-based solution offers diverse tools and interactive visual aids to help you keep in touch with your technical team via chat or email at any given point of day. Customer database and management fused together with intelligent advice that takes the guesswork out of building your business. Increase operational efficiencies, reduce process errors and increase ROI. VisionCarma enables organizations to practice both pro-active and reactive quality control with an emphasis on continual improvement. Our solution can help you get an integrated view of your finance functions, tap into real-time performance insights, and close the books quickly and accurately. 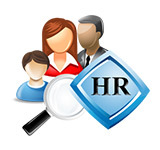 Efficient automation of the HR processes for small and large businesses. Get in-depth view into the functioning of your business with dashboards for top management and HR. Our Operations management module maintains your company operations in a healthy state rather than alerting when anomalies occur. Your company is freed from the reactive, firefighting mode that encompasses most organizations. The easy-to-use Performance Index module provides the comprehensive insight and customizability you need to rapidly find and assess the impact of issues, isolate the cause, and restore performance levels of employees. VisionCarma’s WorkManager is the interface for staff to easily log their daily tasks, manage tasks assigned and view the daily history. Always stay in-touch with up-to-date projects data. Tracking process, forthcoming deadlines, worklogs and milestones has never been so easy. It is a per-integrated unified environment for team collaboration and communication on and projects and processes. Full visibility and control over all your projects now made possible! The Task Management module is more than an online to-do list and has helped many teams around the globe get work done more efficiently. What it does for You? Assigning task was never so easy! Due dates, Milestone setting, deadline setting etc. all done with minutes to spare. Make the task recurring-Now why bother assigning the same task every day ? Rate the task for it. 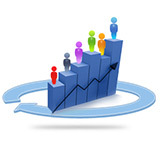 Get the best out of your team- ratings directly linked to productivity. Having trouble managing your remote team? Dont worry! An easy to use module with productivity management, shift scheduling, team productivity setting options. Trying to map skill levels of your team? This module will help you do that too! It gives you greater visibility and control over the processes and data that drive your business. Increased efficiency and compliance made easy by a single module! Back end Productivity Tracking based on assigned task ratings and timely completion of work assigned. Team and employee based productivity reports. Productivity scores integrated with performance. SLA defined per client & team based on client helpdesks. Issue forwarding from client helpdesk to VC setup through scripting. SLA Reports are available for clients and teams in VC. The Performance graph shows the entire list of employees who fall under different categories of performance. Bell Curve Visibility becomes lot easier using the graph. Also, corrective measures can be taken to make the under-performing individuals score better percentage next time. The team wise PI report can be used to analyze the team wise performance within an organization. Factors that are hindering the performance of a particular team can be analyzed and put forward to the respective Project Managers. The Customer Satisfaction Index score of all teams can analyzed. This helps to retain customers in a better manner by understanding the root cause of problems happening in the project. The Individual PI score report gives inside view into how an employee is performing within the criteria set for analyzing the performance. The PI trend is a useful part of PI report, where you can see how the employee has performed in the past three months. Define KPI’s for each vertical. Define baseline performance and weightage for each. Map managers/staff to these KPI’s. Assign monthly or quarterly ratings for these KPI’s. 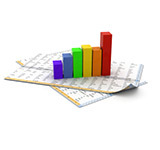 Track KPI Trends to take further action. Custom Team based Feedback forms. Custom feedback form for each tech level in the same team. Feedback Reports for Teams and Techs. 360 Degree Feedback’s open up employee performance appraisals to greater depth and breadth of feedback. This full-circle view of performance provides more insight for coaching and development and ensures more accurate, effective and fair assessments. Develop comprehensive feedback: Incorporate peer review and upward assessments for feedback at all levels. Gain a holistic performance perspective: Get feedback from employees, hierarchies or departments and gain a broader view. Identify hidden strengths and weaknesses: Pinpoint skills, competency gaps, reward drivers and other performance trends. Use limited compensation budgets effectively: Make pay decisions with valid, objective and anonymous feedback to gain a candid perspective. 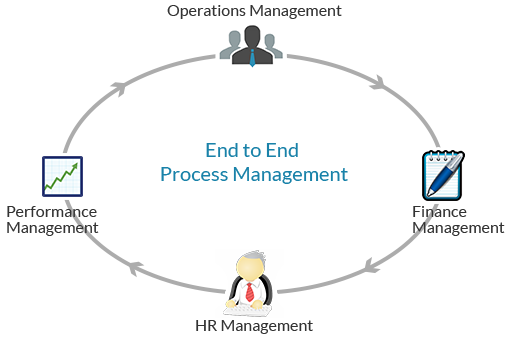 Human Resources module helps you manage your most valuable asset – your staff: hiring, recruitment, vacation, sick leaves, day-off requests, joining & relieving details, IP based access control & employee login tracking. All this in one module! What more can you ask? VisionCarma’s finance module allows for management accounting, provides strong expense management, offers streamlined and auditable revenue management and ensures complete real-time visibility into the financial performance of the business. Managing employee information is a critical part of any organization. Why not make it streamlined? Is tracking leaves becoming a constant pain? The leave dashboard takes care of it by following a multi-chain approach- HR’s, Employees, Manager’s, all have their separate dashboards! What all can be done? Staff Management allows managing staff details, employment info and the salary details with breakups a really easy task! It has good search and filtering options to easily view data for a large organization, so that your time is saved. Opens ledger entries or journal as tabs, where multiple tabs can be opened at the same time. It has an inline add option at the bottom of the ledger, and also allows inline editing of the ledger. The ledger entry follows double accounting standards and will reflect the debit/credit in both the accounts. Billing Dashboard is a comprehensive dashboard that shows details like aging invoices, accounts receivable, net sales for the year and month and accounts receivable. It also shows graphical trends for the total month wise sales for the year, brand wise revenue contribution etc. Staff Management allows managing staff details, employment info and the salary details with breakups etc. It has good search and filtering options to easily view data for a large organization. I can be used for managing vendors, maintaining contact info and agreement copies of vendors including their profile pics. In the bill management section bills can be added, Open/Closed/Overdue bills can be tracked. It also has the option to add alert /reminders for bill payment and managing recurring bills that can be paid monthly/quarterly/yearly etc. 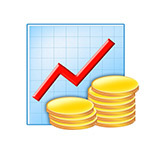 Annual budget or a particular duration per account head can be set in this module. You can define budgets and set amounts to each accounts category. The page also allows inline editing of budget if the required privilege is there. Shows brand wise invoice trends, estimate graphs, net sales by each brand. Brand wise Revenue Contribution, Net Sales. Total expenses per employee, month wise expense chart.